This creative product is a must have for people who want to track both the Gregorian Birthdays of friends and family and study the ‘Galactic’ birthdays too. You will discover the deeper meaning of the wavespells when you see the people you know well in the same wavespell. It is divided in two vertical parts which can be flipped individually at the end of the month (right side) and wavespell (left side). 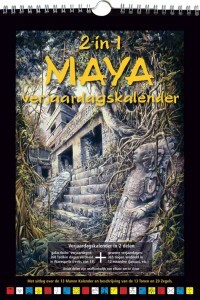 The descriptions are in Dutch, but when you are familiar with the 13-Moon Calendar it is a piece-of-cake.